I took a course on mind-reading. I can read your mind now. Its thinking, "is this guy nuts?" 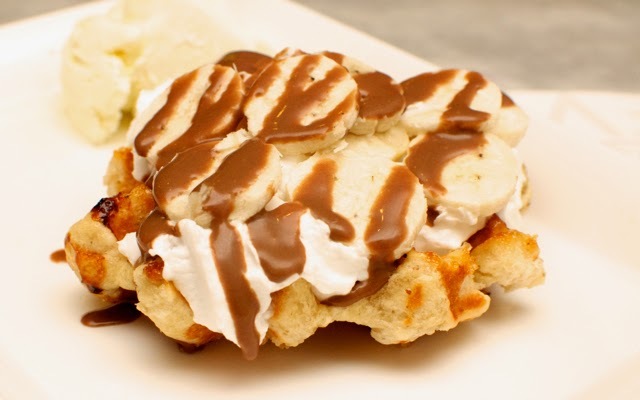 Waffles without maple syrup!?! Remember the days we had these pizzas with super thick base? Later we learnt that Italian pizzas are thin crust? Ditto with waffles!!! 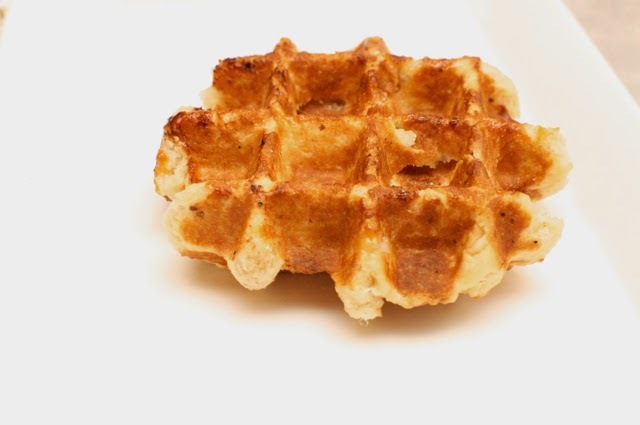 So, the most common type of waffles in Belgium are what is called the Liege waffles. These are the ones that have the slightly funny shape to it, like it was eaten by somebody on either sides!!! These are made, not with a batter, but with dough which gets flattened out!!! And finally, we get these in Chennai!!! Starting at Rs 70 and all the way based on all the extras you add, I still like the base one without anything on top! Now, if you've been used to fluffy waffles, crisp on the outside, soft on the inside (I don't know of too many good places in Chennai which serves good waffles,) the funny shaped liege waffles will be a little different. Actually a lot different. The Liege waffles are dense, thicky and heavy with caramelised sugar!!! So no dusting of sugar is done on top. No maple syrup on top!!! Don't get me wrong, I love maple syrup. I love waffles with maple syrup (not the 2% ones, but the real ones)! But I love the Liege waffles too! While the wife wanted to have it with whipped cream and chocolate, I had the one plain!!! Nothing on top!!! Its a little dry, almost bagel type and you sort of know that I love bagels too!! OK, I know I say love everything, but that why food is so good!!! Other foods won't hate you because you love other foods and you can love em all!!! So, yeah, Waf-O-Bel is here and they serve you Liege waffles, but they also have the Brussels version if you don't like the bite shaped Liege ones!!! They have the maple syrup, but you will have to ask for it!!! If you try the Liege ones, prepare to either hate them or love them!!!! If you hate them, give them another try!!! If you still don't like them, goodbye! Waf-O-Bel is on Jaganathan Street, Nungambakkam, in the same building that houses Moti Mahal and the erstwhile Sam's Pizza which now has a new name!! !